is packed with memorable characters, intrique, action and twisted plots. The snow is falling on the ancient streets of Rome. 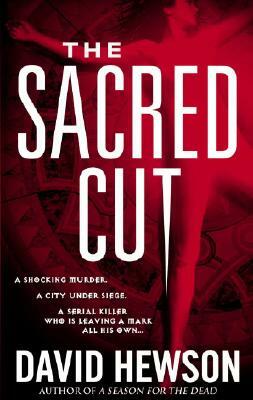 And in the heart of the city, under the Pantheon’s great dome, a woman’s body lies on the marble floor, carefully positioned with a gruesome carving on her back....In David Hewson’s ingenious new thriller, this horrific murder hurtles Rome’s police force into a collision with U.S. agents–and a secret that has festered for fifteen years, now unraveling in the world’s most enigmatic city. But one agent, beautiful, blond Emily Deacon, has yet another story to tell Nic–about a stunning act of deception that may lead back to the U.S. government, and her own chilling, personal connection to the killer. Now, as the first murder leads to more grisly slayings and a motley crew of veteran Roman cops jousts with the Americans, Nic is pulled into a woman’s harrowing search for the truth…a search that will take them both into the mind of a madman, into a shocking conspiracy–and into a dark episode in a nation’s long-forgotten past. David Hewson is the author of nine novels. Formerly a weekly columnist for the Sunday Times, he lives in Kent, England, where he is at work on his next crime novel, Dante’s Numbers, which Delacorte will publish in 2009.